Anne Dennish is a lifelong resident of the Jersey Shore. She is a single mom, writer, author, blogger, journalist at Wall Stadium Speedway, ghostwriter, motivational speaker and breast cancer survivor. Her passion is writing and she shares personal stories of triumph over what most conceive as tragedy. She has the ability to see the good in the bad and shares her lessons and experiences with others. Anne mentors those battling different types of cancer, sharing her positive outlook and personal experience with them. She has survived divorce, abuse, and breast cancer and found her solace in her spirituality and strength in her profound intuitiveness. Anne believes it’s “time to make a difference and we can make a difference together.” Her hope is to have a positive impact on someone’s life and on the world. You can add that after raising five children and being a stay at home mom for over 20 years, I began to pursue my passion of writing. To me, writing is my dream come true; it’s therapeutic and it’s like breathing for me…I can’t imagine a day without writing something. It makes me come alive to put my thoughts onto paper. It truly is my passion. I began writing at the young age of 5, or maybe 4, but it started when I learned to write. My mom still has stories I wrote throughout my childhood. I wrote all through college, albeit then it was mostly poetry, and kept writing through a 20 year marriage and raising five children. My writing then was poetry, short stories, and journal entries! As my children got older and three moved out of the house I find myself with time to pursue my passion. I self published my first book 6 years ago and once I held my book in my hands and felt that dream come true I was hooked! I’ve since published two more books with more on the horizon. I’m also writing the life stories for other people. My career began when I learned to write and my career continues as I learned to write even better! What is your writing related dream? The books I’ve published thus far are self-help, inspirational and motivational books. 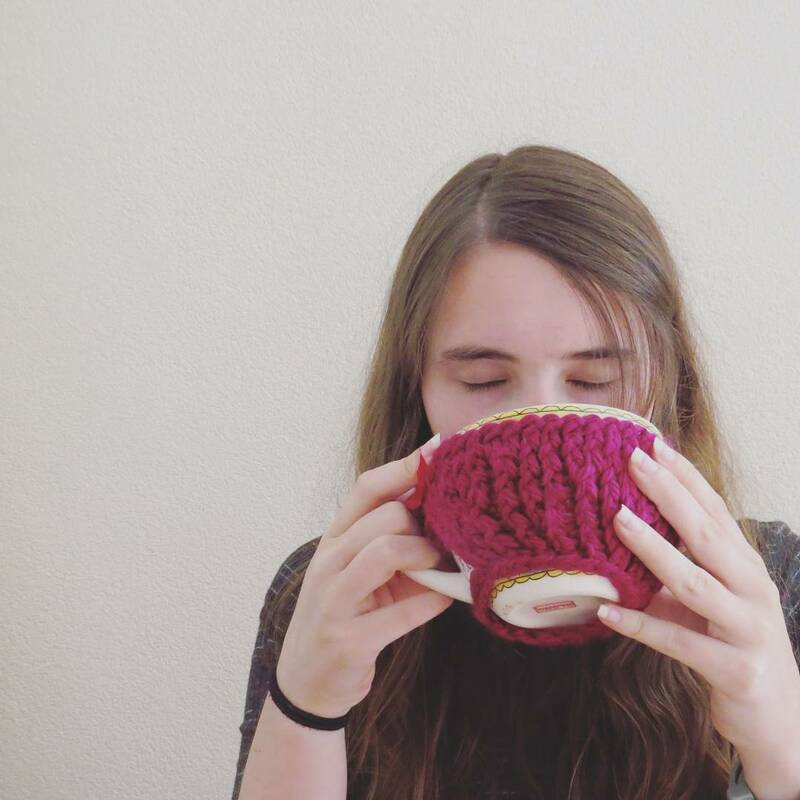 I’ve shared my not so good experiences with others through my writing. My dream is to find an opportunity, a forum so to speak, to take my writing to the next level by public speaking, connecting with people in person, reaching them on an intimate level. Books are great, but taking what you write and speaking about in public and in person is my ultimate dream! I can reach so many more people by doing that. Some ask me if I want to be famous and my response is always the same: I want to be famous for making a difference in someone’s life or in the world. That to me is the ultimate dream of my writing. Publishing any book is a joy, a dream come true, an exciting moment and a surreal one at that. It doesn’t matter if you self-publish, indie self-publish or have a publisher, the excitement of seeing and holding your book in your hands for the first time never get’s old and never feels less. The process can be daunting, yet I love every minute of it, from the writing, to placing it in the right order to finished product. I’ll admit, editing is my least favorite piece of the process, but still a joy. Every facet of writing a book to the process of publishing lead to the ultimate high: the joy, the excitement and the surreal moment of holding it in yours and knowing the one most important piece of it all: I did it! And the best is knowing that the dream became a reality and there’s no better feeling than that! I’ve put in some synopses of Anne Dennish’s books below! 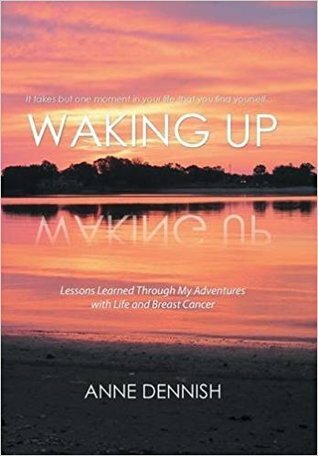 -Waking Up- is an up-close and personal look at one woman’s journey throughout life and breast cancer. She shares intimate stories of divorce, relationships, children, addiction and more, as well as her private journal of her battle with breast cancer. This is a book that has something for everyone. The author shares personal short stories and quotes of her experiences in handling the good times and the bad. -Waking Up- will tell you how this one woman learned to handle them all with grace, dignity, love and a lot of laughter. 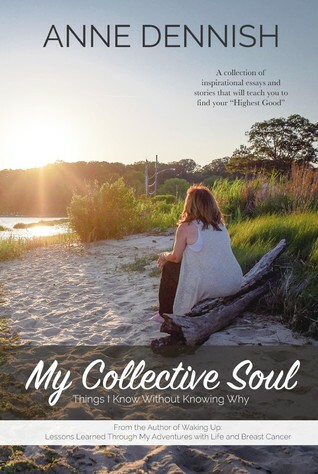 In My Collective Soul, Anne Dennish shares wisdom from her life. She has survived divorce, abuse, and breast cancer and writes about these experiences and the solace she has found in her spirituality and the strength she feels from her intuition. Anne believes it’s “time to make a difference and we can make a difference together,” and she shares empowering messages like that one throughout the book. The goal of My Collective Soul is to have a positive impact on someone’s life and on the world. It covers topics like love/heartbreak, sexuality, bereavement, family, self-empowerment, relationships, spirituality, and more. Her bright tone and wisdom makes this a great addition to any shelf.